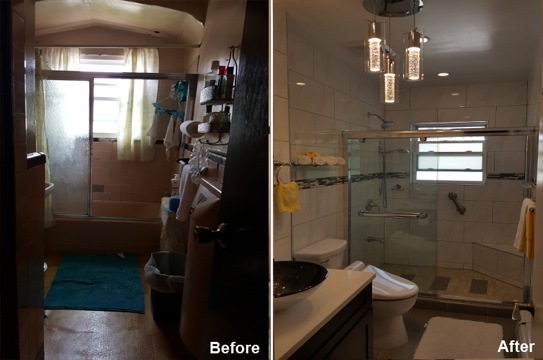 Comments: I never really write review but I have to commend the job that Kevin Parker and his team did for my bathroom renovation. The assessment of the job was very smooth Kevin came in and drew out the layout design for the bathroom and gave a very accurate timeline of completion. Everything was a one stop shop down to material and cabinets , his workers where very prompt when they arrived which was 0800 every morning and at noon took one break and went right back to work. Never had to hunt them down and was notified ahead of time if they were not coming in ona certain day which was normally on Sundays. The Level of craftsmanship was very neat and clean a very well thought out construction method, every day I seen progress in the job. I can’t fail to mention that Monica did an excellent job with crossing ideas between my mother and I in terms of designs and was just great with making the pick for materials a very easy process. Thank You for a stress free renovation Keep up the good work!!!! Comments: I cannot begin to express my gratitude to Kevin and his staff for the magnificent job they did in renovating my condo. I had hired many contractors over the years but never to do anything this extensive. I always approached any renovation job regardless of how small with a lot of anxiety and apprehension. 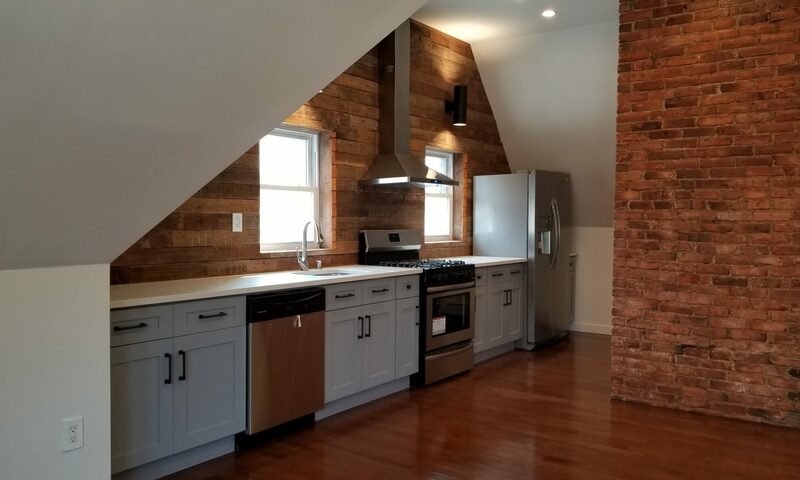 Iam one of those people who do a lot of research first, interview 4-7 contractors, read reviews ( if any) and then make my decision, cross my fingers and hope for the best.I had a huge renovation job that I needed to have done in a relatively short timespan. Every room in my condo had to be redone, and frankly, the magnitude and scope of the project were leaving me with a lot of sleepless nights. As is my mojo, I interviewed several candidates and was left feeling even more anxious. A few I had to call 2-3 times to request their estimate if they came to survey. Still, others failed even to return my call. Of the ones that did provide an estimate, the costs were all in the same money range, so it wasn’t a matter of selecting the highest or lowest bidder. It was quality and vision. For all of the contractors I interviewed before Kevin, I would need to still go out to Home Depot, Lowe’s or wherever to select the materials. Frankly, I didn’t have the time to go slepping around to design centers. Kevin has a one-stop showroom where I was able to pick out patterns, textures, color, and designs for my cabinets, flooring, tile walls and much more.What impressed my husband and me about Kevin immediately was his attention to detail, his presentation, and his confidence. Kevin has such a vast knowledge of how things should work, and his attention to detail made us feel so comfortable. He also pulled out his tablet and showed us job after job that he either just completed or was in the process of completing. Kevin drew up a rough outline of my floorplan and told us how he envisioned the outcome. He explained the work involved, how his staff would be solely dedicated to my job, and the timeframe. He did not hesitate to share with us a listing of over 130 of his customers (references) that we could call up to review whether they were satisfied with his work. I mean who does that! What I loved was that MY project would have a dedicated team lead by a project manager that would oversee the job from day one to completion. Most other contractors are juggling 2-3 different jobs, so they start yours, walk away, come back in a few days, and that is time and money wasted. Not with Kevin and his team. Kevin has multiple teams and he dedicates a team to each project. As this is a condo development, there are very strict HOA house rules, no work on Sat/Sun/holidays. Work can only be between 9-5 Mon through Friday. I don’t live in my condo and thus was not there daily to oversee, I left my trust to Kevin and his team, and I was not disappointed. For six weeks they came every day promptly. They worked soundlessly, and the workspace was left spotless. I have a second-floor condo unit and the unit owner on the first floor did not even know that people were working in my condo that is how quiet they were. Kevin came around a lot to inspect their work and progress and would keep me abreast of any situation that might prevent us from meeting our timeline. I cannot say enough about how satisfied I am, how much anxiety and worry Kevin took off my shoulders and if I could give Kevin 10 stars I would. You will not be disappointed. Kevin is very approachable, is very attentive, and very responsive. I was the one who many times were unreachable. There was a minor issue last week with the 3rd-floor unit owner’s apartment having some flooding problems, and I was so afraid it would cause damage to my newly renovated apartment. I called Kevin, and on a Friday night, at 4 PM he came from Brooklyn to Queens to survey our unit and assure us all was ok and if anything developed, not to worry he would handle. I can’t say enough good things about Kevin. Just hire his team, and you won’t regret your decision. Comments: I’ve lived in my current home for 20 year and I wanted to redo my kitchen. I contacted a number of contractors and all were unsatisfactory. I was referred to Beyond Designs by a friend. Wow!! what a difference when I met with Kevin. He offered design options that I had not originally considered. It was obvious to me that he was experienced. Once the project got underway, I knew I had ultimately made the correct choice. As with any undertaking of this size, minor problems arise. However, they were resolved effortlessly. It was a pleasure to work with the foreman Lee and his crew. Kevin and the foreman Lee were always available to answer any questions or concerns I had. I am more than delighted with my new kitchen. For anyone undertaking a major expense as I have, I would definitely recommend Beyond Designs. I would especially recommend Lee and his team, they were more than a pleasure to work with. 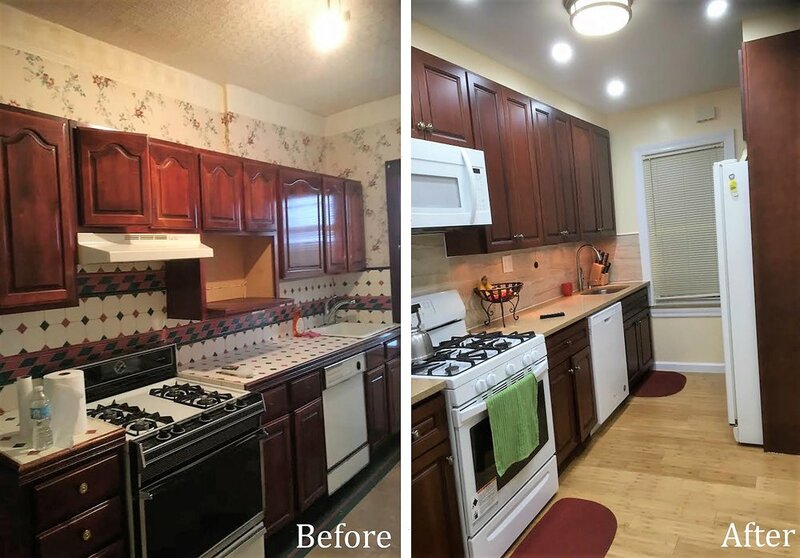 The crew displayed professionalism, courtesy and tidiness as the kitchen was renovated; they cleaned up in an unbelievable manner once the project was completed. The start date and end date was precise and all materials used were of top quality. I will use Beyond Designs again sometime in the future. The integrity of Kevin, Lee and their crew is remarkable. I love, love, love my kitchen. Thanks Kevin, Lee and his team. Comments: I had an excellent experience with Beyond Designs. Kevin and his crew were very accommodating and helpful. The crew added very nice touches to make the job perfect and to address any concerns that I had. I am very satisfied with the result. It was a very good value for the money. Thank you very much. 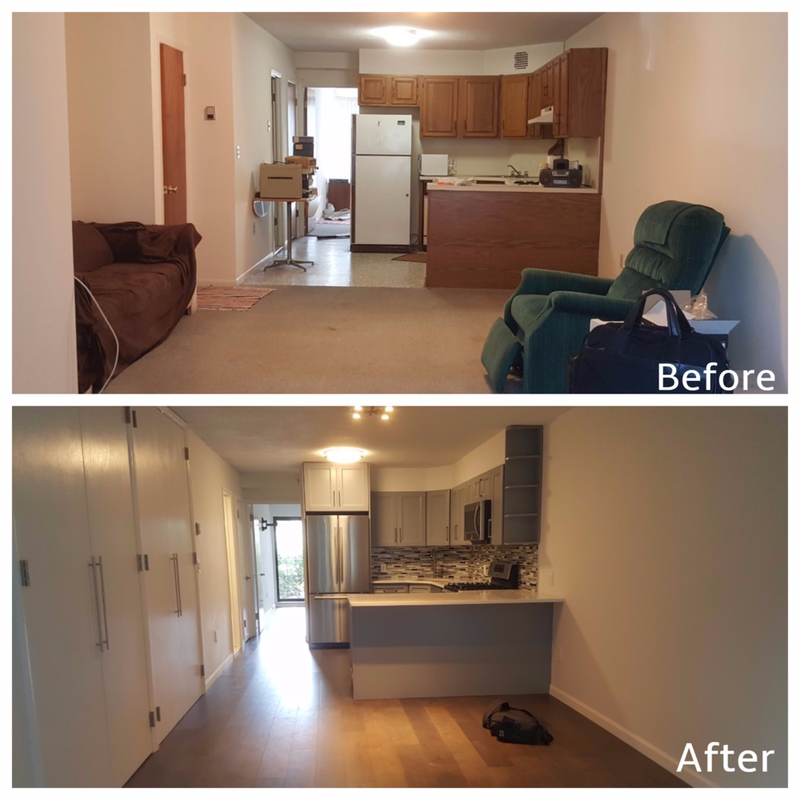 Comments: We felt very comfortable having BDR perform the work in our home and were happy with the end result of our condo. The unit we purchased is old and was not maintained well by the previous owner. The unit itself has peculiar construction which signaled to us that we would need a highly competent contractor in order to solve a lot of the issues that were bound to come up. From the consult, we were already able to tell that Kevin has a great deal of experience and higher level of professionalism compared to some other contractors we spoke with. Kevin is very helpful with any types of questions regarding construction, materials, finishes, or detailing. If you purchase your own materials like we did, I recommend that you ask Kevin up front regarding your choices as he is very knowledgeable and can offer pros and cons for your selection. The materials and finishes that we left to Kevin to select were excellent and look great. BDR was also especially key because they were able to complete the job in 5 weeks to meet our desired schedule, as opposed to other contractors who quoted us 8-12 weeks. They completed demo for our unit within two days, mainly due to their manpower resources.We were especially pleased with our foreman Yin and his crew. They were extra sensitive to some of our requests and Yin made it very clear that delivery of a quality product was most important to him. Any issues that we came up with, and Yin personally took care of them. If you get this guy, you are most certainly in luck. The relatively higher up front lump sum cost for hiring BDR was worth it in our opinion because we were certain to get banged up on change orders for itemized work with other contractors. Many bells and whistles involved with the work did not come across our minds, and Kevin was able to lump all the work into the original cost. 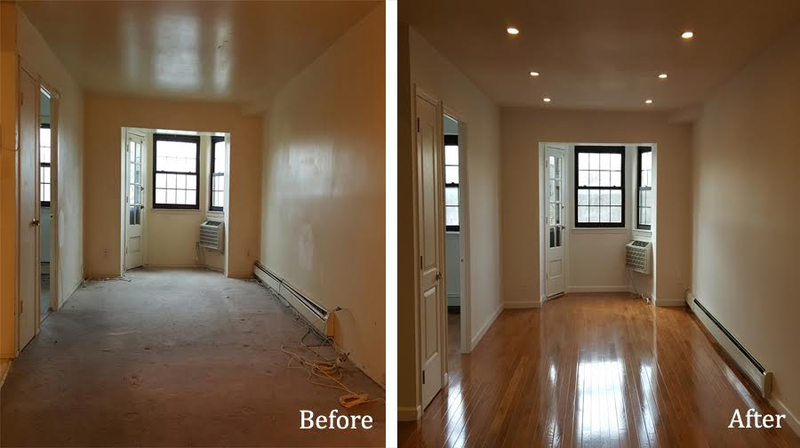 Our first home gut renovation job was a learning experience and still had ups and downs, but Kevin and his crew mitigated it a great deal. Him and his team are very accessible and receptive, and are especially easy to reach using their text platform. We are already considering Kevin for other future renovation works, because we know quality product and a happy customer is what these guys care about. 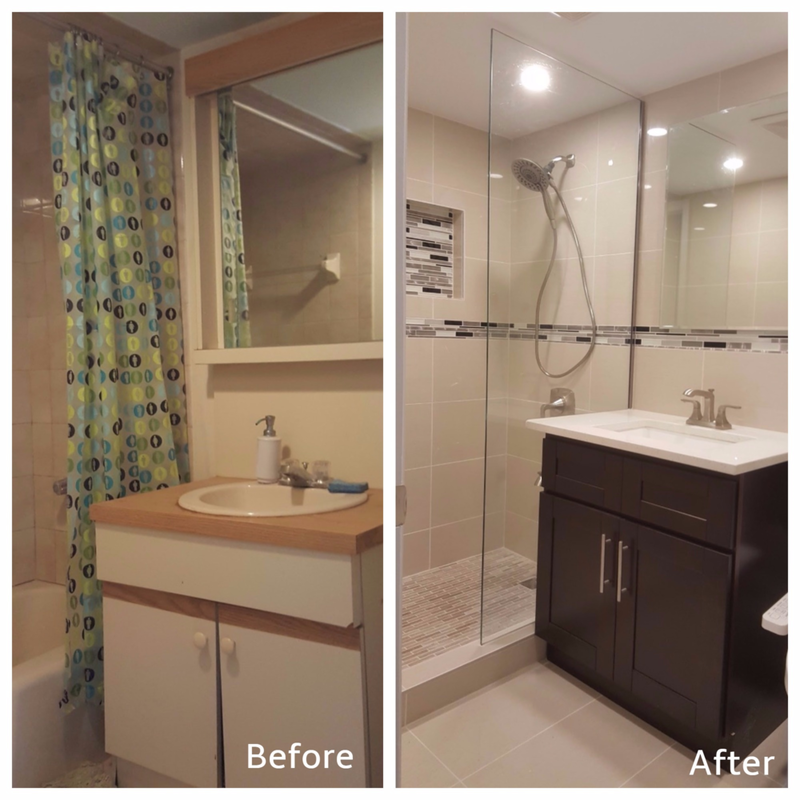 Comments: We are very happy we chose Kevin Parker and Beyond Designs & Remodeling for doing a fantastic Remodel to our Basement. 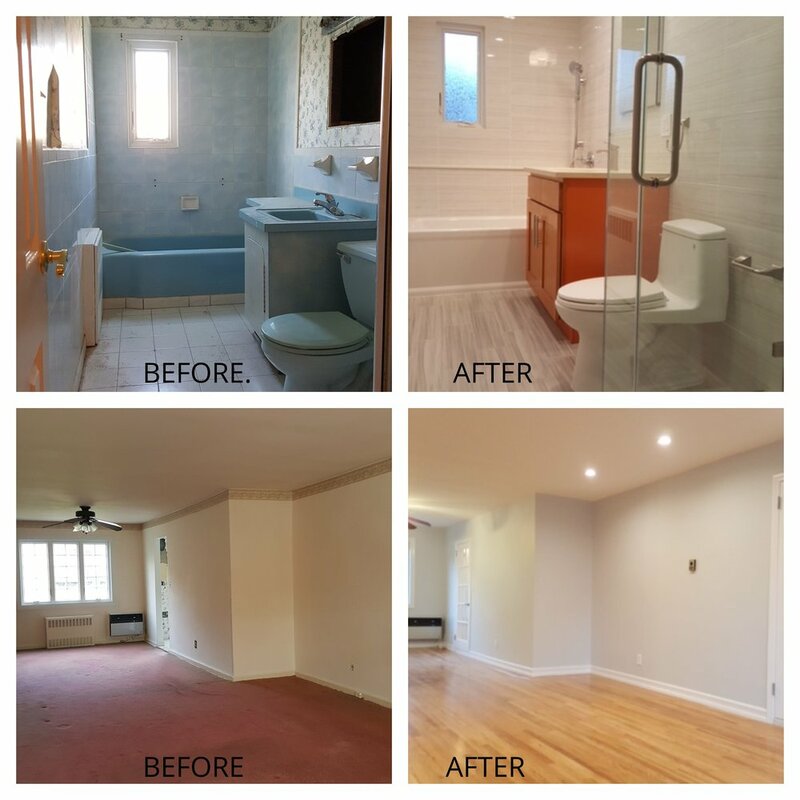 The basement required a complete renovation which included a complete gut out, electrical and plumbing, level cement floor, repair to foundation walls, new wet bar, new bathroom, laundry room, windows and more. If I had any questions Kevin was only a phone call away. Their foreman Lee and his crew were very knowledgeable and the work performed was superb. I recommend Beyond Designs & Remodeling to anyone who wants peace of mind and a job well done. Comments: We needed additional space for our growing family and decided to extend/renovate our basement. Kevin was the only contractor who wanted to do the job due to the extensive dig out. He sat with us to discuss the design of our new basement, potential issues and cost of the job. We never expected the job to progress so quickly, the basement was completed in 6 weeks!!! Kevin’s crew showed up every day on time, kept us informed and responded to our questions (true professionals). They made the whole process easy, not stressful at all. Our basement has been transformed, it’s better than we could have imagined. We are fortunate to have found Kevin and we would recommend him to anyone. Comments: Look no further. You’ve found your guy. I’ve had my share (and my fill) of lousy contractors. Not here. Kevin is a professional. He takes a difficult, painstaking process (as my basement remodel was) and turns it into an easy, normal, everyday thing, like buying milk at the store. Kevin comes up with better ideas than you had, sometimes at his own expense, then delivers what he promises, on budget and on time. His crew not only did what I was expecting but exceeded it. I can tell you first hand this does not happen with other contractors. He also guarantees his work, weeks after the job is done, he comes back until everything is perfect.